62nd year of our race will start with an early-evening technical prologue in Poprad. It will be only 1,6 km long, in the surroundings of the city center. Racers will cycle from Square of St. Egid via Murgašská and Levočská Street back to the square. The first mountain stage will lead from Poprad to Štrbské Pleso measuring 164,4 km. It consists of a very challenging terrain in Vysoké Tatry with seven mountains. It will be an good test for the World Championships in Innsbruck. Finish will be on the top of the climb as in the 5th Stage of Tour de Pologne 2014. The second, hilly stage from Ružomberok to Dubnica nad Váhom is again very challenging and also the longest one. Throughout the 191,7 km cyclists will overcome seven mountains and an attractive finish on tartan track at Dubnica´s stadion is awaited. Stage n. 3 (180,6 km) from Dubnica nad Váhom is a plain one and includes a circuit around the starting city and then the peloton will move across the region of Ponitrie towards the finishing city of Nitra. The last stage, plain stage will not contain any mountains. 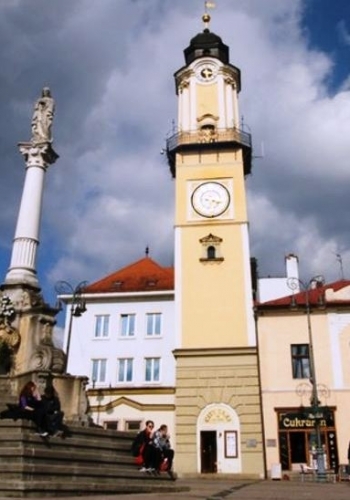 157,2 km long route will go from Nitra to Galanta through the region of Dolné Považie with two sprints in Šaľa. Copyright 2015 - All content published on Okolo Slovenska authorial protected.